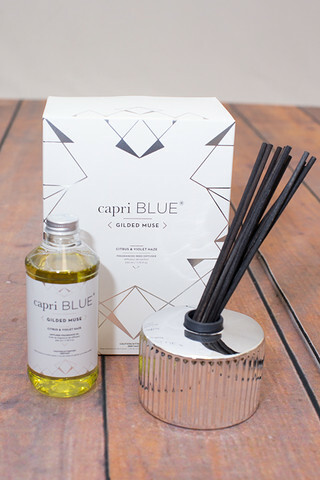 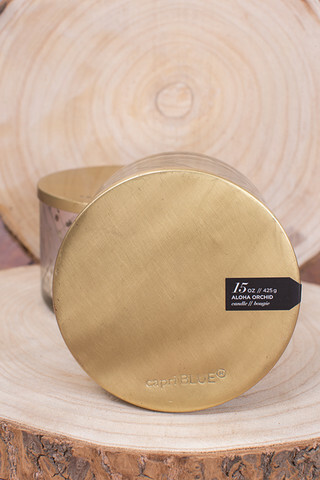 Breath in the unique blend of white florals, tropical melons, rose and basil with this candle by Capri Blue. 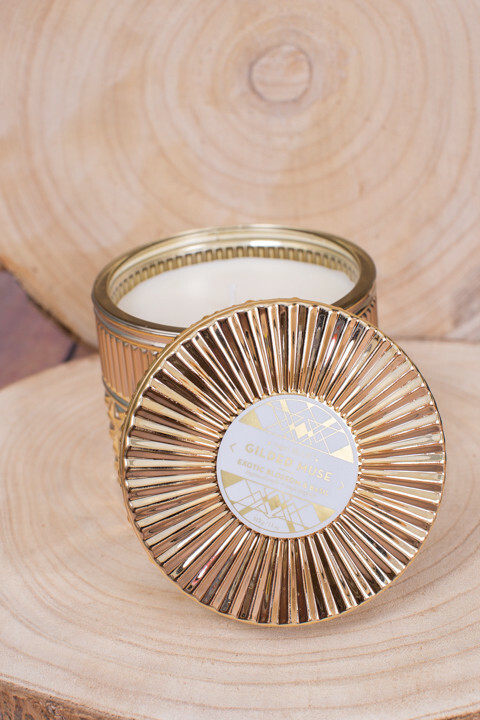 The Gilded Faceted Jar Exotic Blossom and Basil candle is soy based and comes in the most gorgeous metallic gold jar with lid. 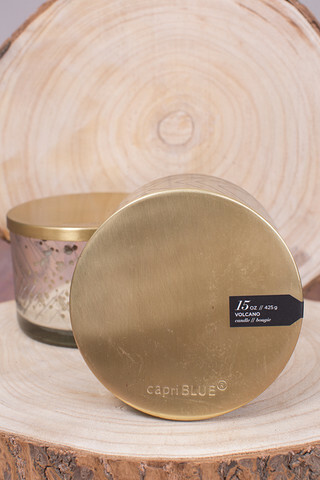 Burn Time: Up to 80 hours.